Rentec Direct is excited to introduce a new mobile friendly design for the Tenant Portal! 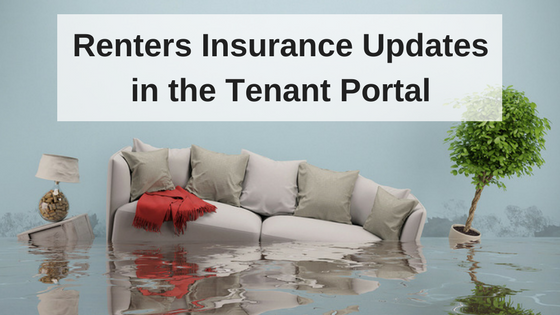 The new Tenant Portal gives your tenants the information they want conveniently at their fingertips. The latest update for the Tenant Portal allows the system to adjust to whatever screen size your tenants are using, from the desktop to the mobile phone. Whether your tenant wants to submit a maintenance request or pay their rent online, this new mobile friendly design allows tenants to access the useful features on the go. The Tenant Portal from Rentec Direct allows a property manager or landlord to give their renters an online account associated with their rental property. 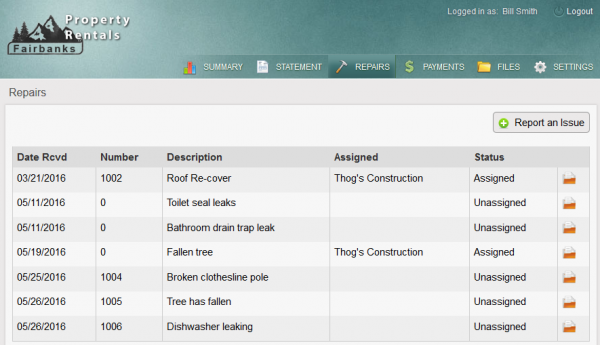 The Tenant Portal serves as a real time account overview, platform to submit repair requests and a payment gateway. Each tenant is given a unique login to access details specific to the property they are renting. The standard wide screen format of the mobile friendly Tenant Portal remains largely unchanged, though some additional filtering and selection criteria controls have been added. The same screen, when viewed on a mobile phone or a tablet in portrait mode, automatically adjusts its layout to ensure all features are accessible. The new layout uses the standard mobile menu icon, at top right, to access drop-down menu items. 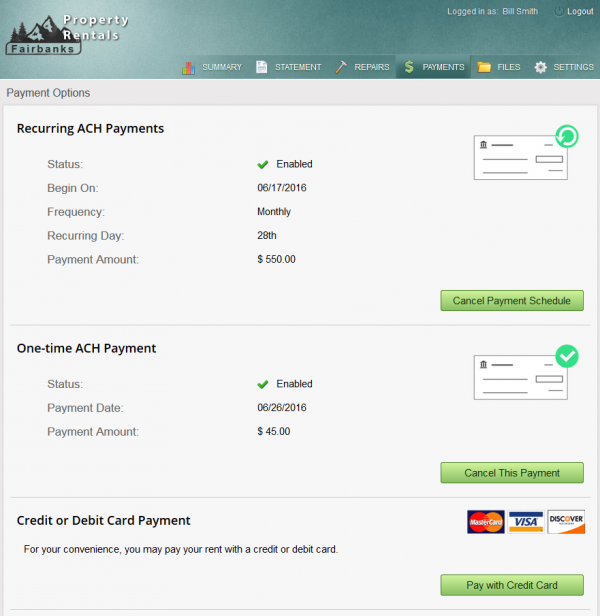 Your renters can easily pay their rent through the Tenant Portal via ACH or credit card. 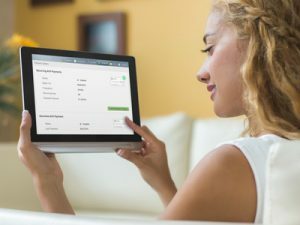 Our development team made the payment screen simple and intuitive for tenants to make a single payment or schedule recurring payments with ease from the desktop computer or mobile phone. With easy access to repair requests, online payments, transaction history and other features, your tenants can now use the most advanced tenant portal available. You will stand out from your competitors by giving your tenants this mobile friendly portal option. This feature update comes thanks to clients like you who submit and vote on feature requests. We want to continue making Rentec Direct the optimal tool for your property management needs so let us know in the comments or visit our article on How to Vote on Feature Requests. PreviousIs Your Property Rent Ready ? 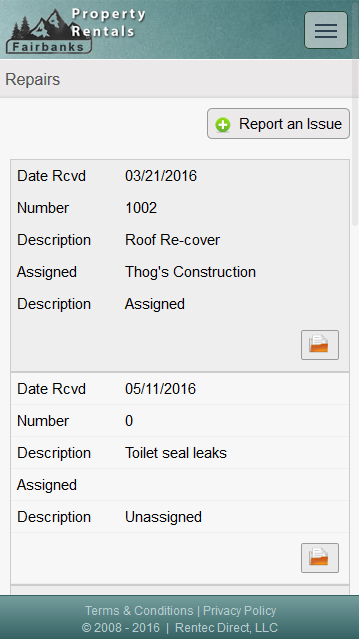 Can’t wait for this feature to come to the Property Manager Site!!!!! Any update on this? We share your enthusiasm for converting the Property Manager site to a mobile friendly design. It is a much larger task, as it is much more complex than the portals. Which features would you find most useful on a mobile device when you are out and about? That is a very informative answer, as you have provided key features that you need to use on the go. Your feedback helps us to prioritize the conversion process and is very helpful. I would sure like to be able to get to the “login” button on the main rentecdirect screen. I have found that if I go to “rentecdirect.com/login/login.php” on my iphone 6s+, I can login and get to ANY screen in the application and use it as I would my tablet. Text size is acceptable and I can perform all my needed functions. It seems the only screen that does not allow me to size down is the rentecdirect.com URL–which prevents me from getting to the login button directly? !